It's the party we've been waiting for - this year will be the biggest and best yet! 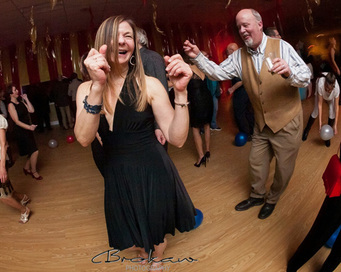 Fire and Ice Ball 7 is the kickoff event for the 2016 Lambertville/New Hope Winter Festival with complimentary light fare, festive cocktails at our super-reasonable cash bar, and lots of great dancing and live entertainment! World-renowned Ice Sculptor Roger Wing will be carving, DJ AGGRESCHEN will be spinning the hits, Circus Arts Performer RAE MAE will be doing her signature fire and ice dancing, and there will be plenty of contests and prizes - for dancing, attire, and of course we will crown THE FIRE KING AND ICE QUEEN. Come and celebrate with your friends and neighbors! Advance tickets available on this page, $30 at the door - BUT HURRY -- THIS THING GETS BIGGER EVERY YEAR! Sponsored by Dish Catering and New Hope Winery - Proceeds benefit Twin Rivertown Projects, a non-profit corporation that distributes funds to Parks and Rec, Fire & Rescue, Fisherman's Mark, and other community organizations on both sides of the river!